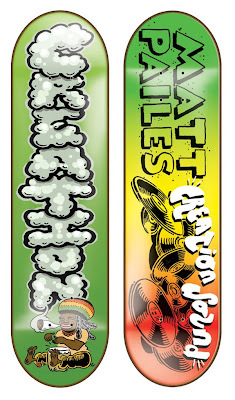 Here are a couple of skateboard graphics I did for the fine folks at Creation Skateboards. 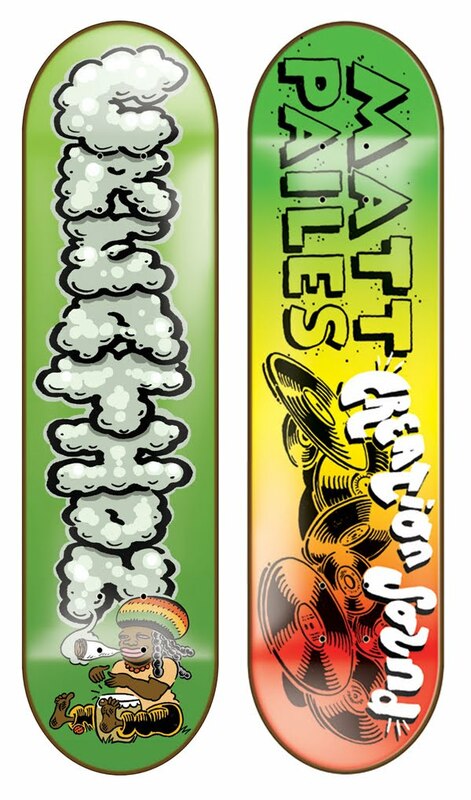 If you listen to reggae, smoke lots of weed and skateboard, get one of these! They come out this fall.